A man is to stand trial accused of stalking his neighbours for over more than a year in a bizarre campaign of harassment that allegedly involved him pouring concrete on their land and “leaving animals in their field insecure”. Grant Anderson faces a further charge of “driving at excessive speed” towards Laura Turner, who lives in a property adjacent to Anderson’s with husband John Turner. Anderson is alleged to have engaged in a course of conduct that caused Mr and Mrs Turner fear and alarm between April 7 2017 and May 11 this year. He is alleged to have repeatedly left gates open on their land, leaving animals in the field insecure and left motor vehicles parked on their land. The 62-year-old is also alleged to have deposited rubble and poured concrete on their land and “repeatedly pulled an electrical cable belonging to John and Laura Turner on to his land and poured concrete around it”. Finally, prosecutors allege Anderson drove motor vehicles on their land in an inconsiderate manner and repeatedly loitered on that land looking at Mr and Mrs Turner. 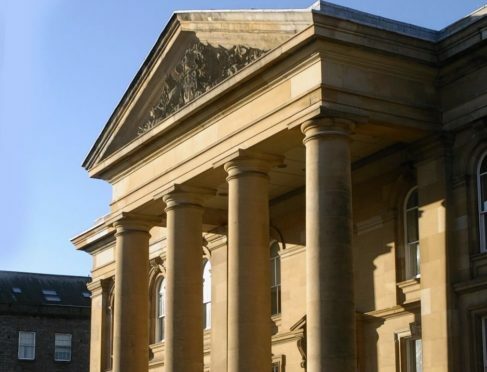 A second charge alleges that on April 30 this year at an access road to the rear of the Turners’ property on Cupar Road, Newburgh, Fife, that he behaved in a threatening and abusive manner likely to cause fear and alarm by driving a Fiat Doblo van at excessive speed towards Laura Turner. He is then accused of stopping in close proximity to her and thereafter drove in too close proximity to her. Anderson, 62, of Craigmill View, Cupar Road, Newburgh, Fife, denies charges of stalking and behaving in a threatening and abusive manner likely to cause fear and alarm. Today defence solicitor George Donnelly entered a not guilty plea on Anderson’s behalf. Sheriff Alastair Carmichael set a trial date in March and ordered Anderson to appear at a pre-trial hearing in February.